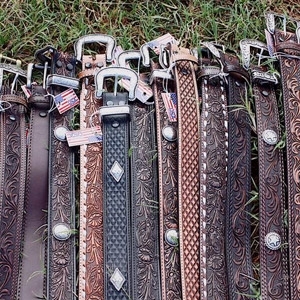 Nocona Belt Company is a leader in the belt industry, well known for their style and quality. 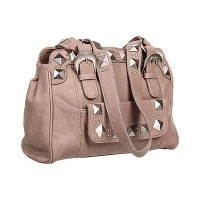 They offer modern and current styles for men, women, and children alike. Camouflage suspenders keep you from being seen. 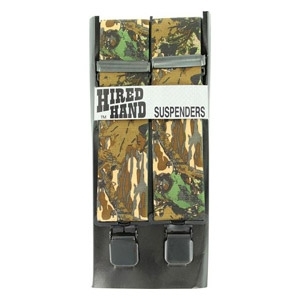 Our camo suspenders are literally out of sight! Classic suspenders for a classic "Hired Hand" look. 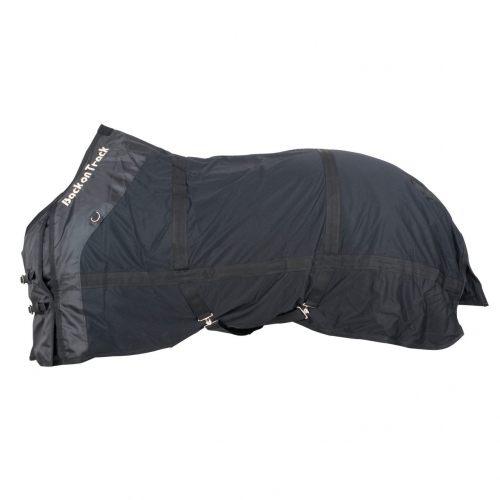 Metal clasp clips attach to pants for a secure fit. 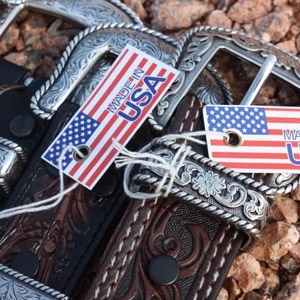 Nocona belts and belt buckles are a favorite accessory of cowboys and cowgirls everywhere! 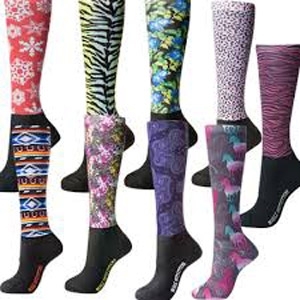 They offer modern and current styles for men, women, and children alike. Almost all of Nocona Belt Company's belt buckles are removable, giving each belt the ability to be personalized with a different buckle. Show off your western style even when you're paying the tab with Ariat® wallets. Insides consist of credit card slots, money slots, an ID window or a checkbook holder. Made with top grain genuine leather and carried the Ariat® logo. 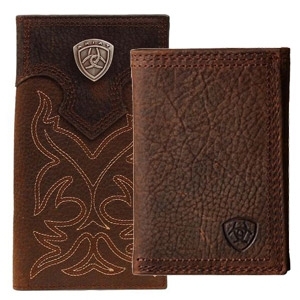 Your western wardrobe isn't complete without an Ariat® leather wallet in your pocket. Twister Hats from M &F Western Products are rugged and durable. Look like a truly stylish cowboy or cowgirl wearing a Twister hat! M&F presents this Twister line of straw hats for kids. 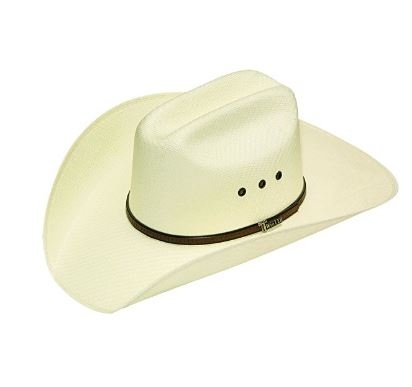 This natural straw hat features a cattleman crown with ventilation, black ribbon hat band for boys and white for girls. providing a traditional western look for any buckaroo or buckarette. Show your team spirit in an Ariat® team cap. 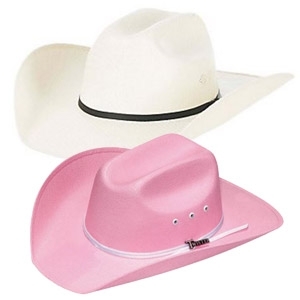 Men's and women’s caps and visors are boldly branded with the Ariat® logo. The low-profile styling of these baseball caps gives it a sporty look. Caps and visors are constructed from durable cotton twill with an adjustable Velcro strap. 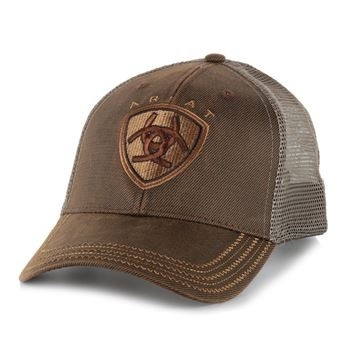 The Ariat® logo is embroidered in various sizes and forms on the front of the cap. Your little Show girl is sure to be a charmer with these Blazin Roxx booties by M&F Western Products®. 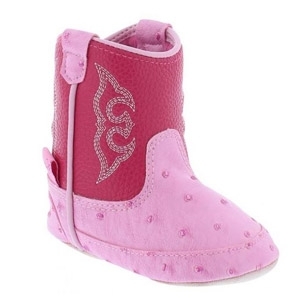 Soft upper features stitching with a western inspiration on an pink ostrich print fabric and has a velcro closure for easy on and off. Sizes 0-4. 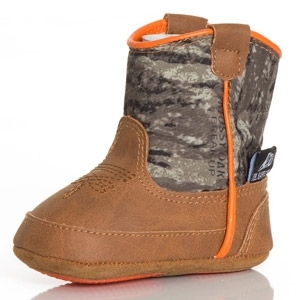 Your little buckaroo is sure to be a charmer with these Gunner booties by M&F Western Products®. 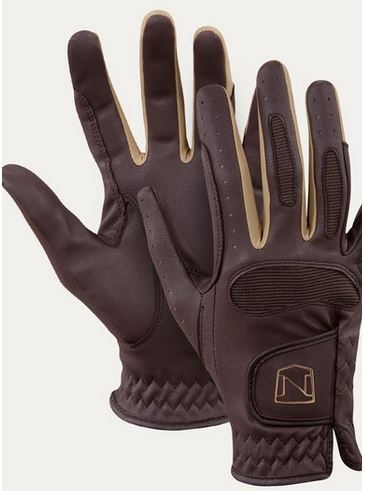 Soft upper features stitching with a western inspiration on a camo fabric and has a velcro closure for easy on and off. Sizes 0-4. The essence of romance and beauty. The heart and spirit of Annie Oakley is captured in this beautiful fragrance. 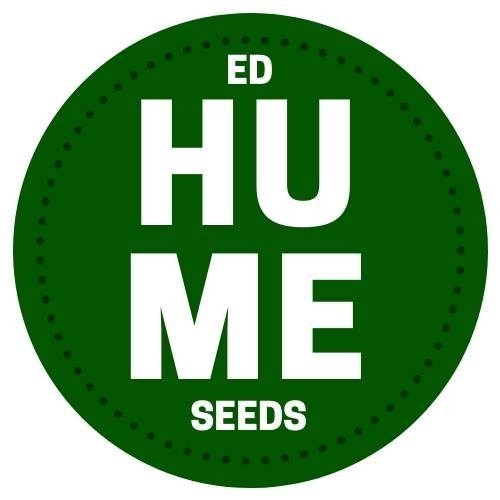 An elegant blend of fresh florals and rich leafy scents. Annie is feminine, refined, a true American classic.